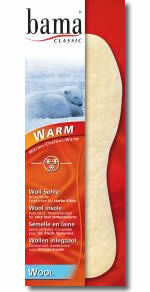 Bama wool insoles offer a pleasant thermal comfort in low, wintry temperatures. A layer of deep, soft, pure wool warms the feet, and simultaneously provides a cushioning effect, ensuring cosy wearing comfort. These insoles have the deepest wool of any insoles that we have come across. Per pair. BAMA FELTA provides particularly robust and hard-wearing protection against low temperatures and moisture. Ideal for intensive leisure and vocational activities. With anti-slip function for firm grip. BAMA FELTA makes working shoes and wellington boots more comfortable and pleasant to wear. Not antistatic. Per pair. BAMA Sokkets are ideal for wellington boots and outdoor footwear. The material combination provides moisture and cold protection. With a smooth middle layer ensuring pleasant cushioning. BAMA Sokkets make wellington boots more comfortable and pleasant to wear. Per pair. 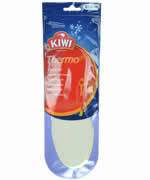 The three-layered thermo insole for maximum comfort on cold days. 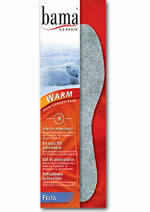 Fleece upper - stores warmth and absorbs excessive humidity. 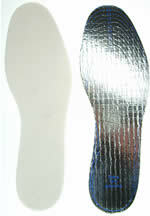 Foam rubber middle - cushions the foot & provides thermal insulation. Aluminium bottom - keeps dry & warm. One size for cutting down. Suitable for sizes 36 - 46. Per pair. 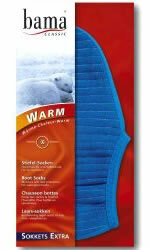 Steady is an anti-slip shoe attachment - made in Sweden where they know a thing or two about snowy icy weather! Easy to use spikes that attach to your footwear using strong rubber straps. Designed to give excellent grip when walking on snow or icy surfaces. Steady has seven effective studs that attach to the outer sole of the shoe, five under the ball of the foot and two under the heel. Each pair comes with a handy little storage bag. 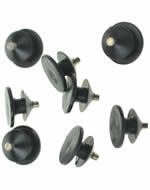 Pack of 4 replacement studs for use in either the Steady or Dubby Anti Slip Shoe Attachments. 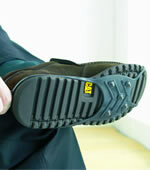 Dubby is anti-slip shoe attachment. It varies from the Steady as it has spikes on the ball of the foot whereas the Steady as them on the heel as well. Easy to use spikes that attach to your footwear using stong rubber straps. Designed to give excellent grip when walking on snow or icy surfaces. 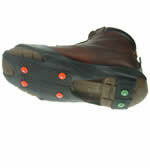 Dubby has five studs that attach to the outer sole of the shoe under the ball of the foot. Each pair of Dubby's comes with a little black bag to store them in so they don't mess up your pockets. Similar to the Steady but with more robust straps. The Cross Country anti-slip device has four studs under the sole and and two under the heel for excellent traction on snow and ice. It has heavy rubber straps to ensure that it does not come off while being used for sport. All the studs can be replaced. They are made of hard carbide steel for optimal durability. Cross Country fits all types of shoes. For use on snow and ice but not grass sports! Sold as a pair and comes with a practical storage bag and 6 replacement studs. 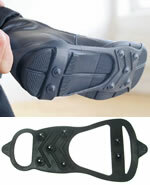 The Anti-slip shoe attachment - made in Sweden where they know a thing or two about snowy icy weather! An easy to use rough ceramic plate that attaches to your footwear using stong rubber straps. Designed to reduce the possibility of sliding on icy surfaces. Ideally suited for moving between areas of snow and ice coverage and areas with no coverage i.e. going in and out of the house! 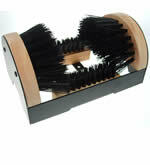 Stiff bristles easily knock dirt and mud off your boots and shoes to help keep your home cleaner. 23 x 12 x 15cm. Heavy duty stiff nylon bristles mounted in hard wood attached to a steel outer frame that can be screwed down onto a base with the enclosed screws.